While caffeine can be used in a wide variety of foods and beverages, it is derived from a few main sources. Those sources include tea leaves, cocoa beans -- which are used to make chocolate -- kola nuts and coffee beans. Some of the most common foods and drinks that contain caffeine include tea, chocolate, soft drinks, coffee and ice cream. Perhaps the most commonly consumed form of caffeine is coffee. 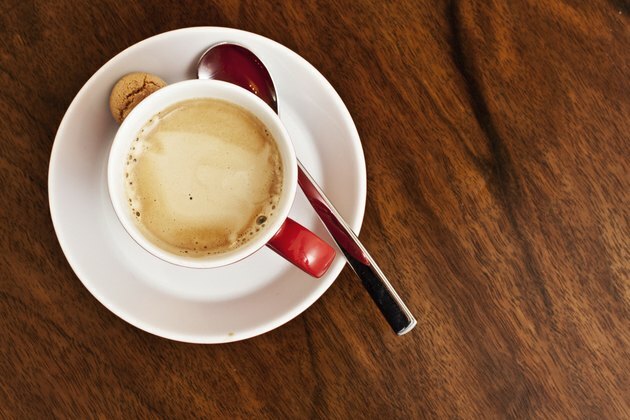 According to MedlinePlus, an 8-ounce cup of coffee contains around 80 milligrams of caffeine. The serving size and the source of the coffee, however, can make a substantial difference in the caffeine content. The Center for Science in the Public Interest notes that, while one brand's 20-ounce coffee contains 436 milligrams of caffeine, another brand's 16-ounce serving contains only 133 milligrams. Decaffeinated coffee still contains a small amount of caffeine, usually ranging between 2 and 25 milligrams, depending on the serving size. 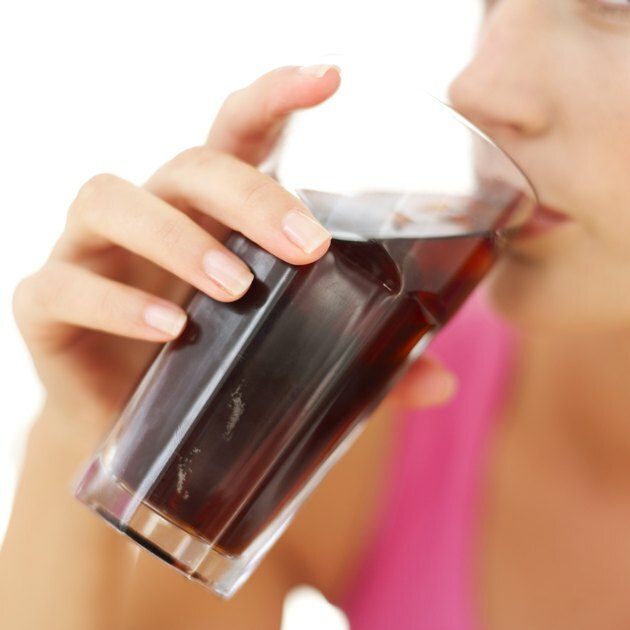 Soft drinks and diet soft drinks can both contain a substantial amount of caffeine. CSPI notes that 12-ounce soft drinks contain between 23 and 69 milligrams of caffeine, depending on the brand. The U.S. Food and Drug Administration has set an upper limit of 71 milligrams of caffeine for 12-ounce soft drinks. Certain types of soft drinks, such as root beer and ginger ale, may be caffeine-free. Some brewed teas, particularly black tea and green tea, contain some caffeine. According to the U.S. Department of Agriculture National Nutrient Database, one 8-ounce cup of black tea contains 47 milligrams of caffeine. 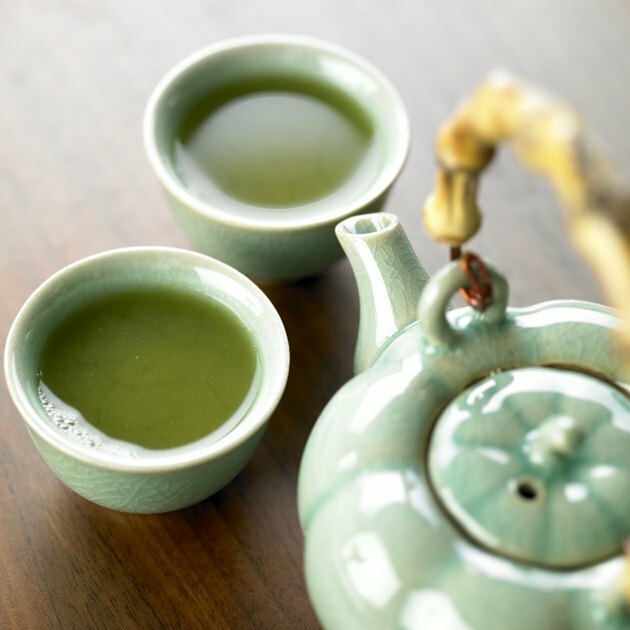 According to the Energy Fiend website, one 8-ounce cup of green tea contains 25 milligrams of caffeine. Instant tea contains around 26 milligrams of caffeine per 8-ounce cup. 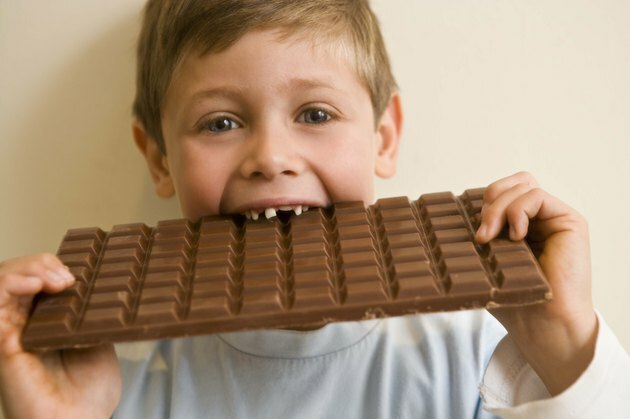 Because cocoa beans are used to make chocolate, chocolate bars can contain a high amount of caffeine. In general, the higher the level of cocoa, the more caffeine there will be. According to the USDA National Nutrient Database, one 162-gram chocolate bar containing 45 percent to 59 percent cacao solids yields 70 milligrams of caffeine, an amount higher than what's in any soft drink. 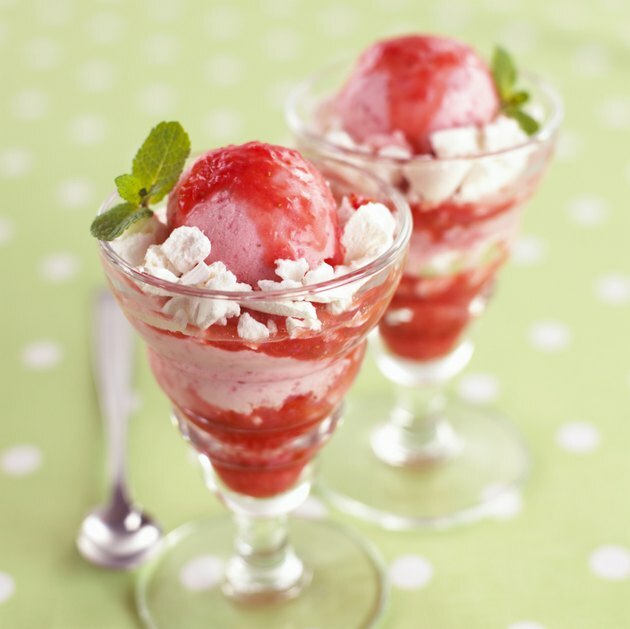 Certain varieties of ice cream contain caffeine when they use chocolate or coffee as an ingredient. 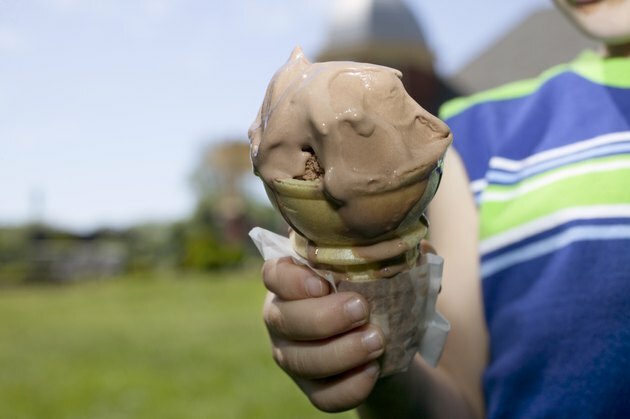 Most ice creams that contain caffeine have between 10 and 45 milligrams per 4-ounce serving. One brand of highly caffeinated ice cream contains 125 milligrams per 4-ounce serving, and some brands of chocolate ice cream contain less than 1 milligram of caffeine per serving.